/ Modified nov 8, 2017 12:24 p.m. The political bias of judges goes unchecked and unchallenged. The union that represents immigration court judges said ballooning case backlogs has left hundreds of thousands of immigrants in a state of legal limbo. That includes almost 10,000 cases in Arizona. Arizona’s 12 immigration court judges currently have almost 10,000 cases pending. And nationwide, that number has exploded to more than 600,000 cases. How did we get here? Hans Van Spakovsky, legal fellow, The Heritage Foundation. 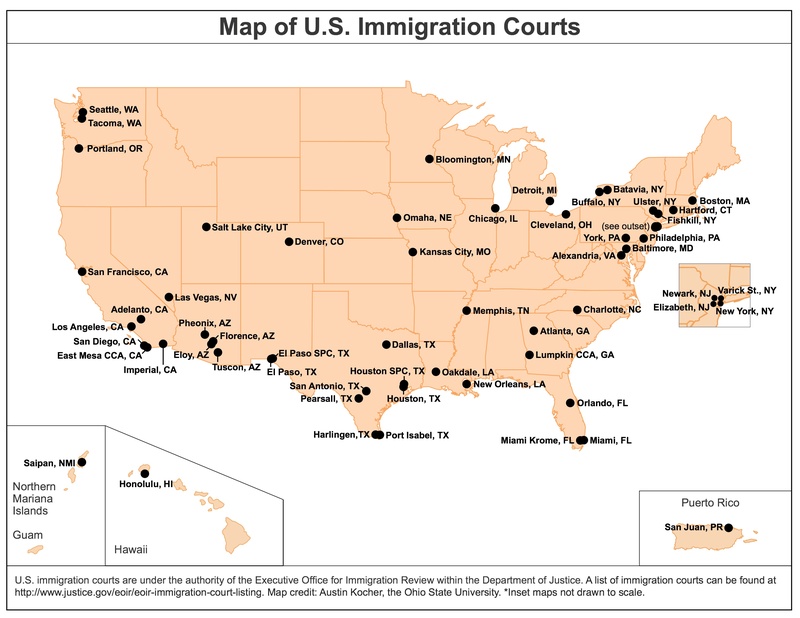 VIEW LARGER There are approximately 330 immigration judges located in 58 immigration courts throughout the nation. Hundreds of thousands of immigration court records analyzed by Reuters show that immigration judges vastly differ on deportation outcomes for cases that are similar, even in the same state. Part of the reason, say immigration advocates, is because the immigration court is not like any other court in the land.